1) Transactions –Estimates, Invoices, Statement Charges, Sales Receipts, Payments Received, Credit Memos and Refunds. 2) Contacts – list any individuals associated with a customer or a job for that customer. 3) To Do’s – reminders to Call, Fax, E-mail, Meeting, Appointment and Task. QuickBooks will alert you. This is a built in CRM. 4) Notes: fill in the form and give it a time stamp. No need for sticky notes, files, or other easily lost means of documentation. You can keep all relative important info about each client/customer in QuickBooks – PAPERLESS. So good! 5) Sent Email: If you develop the habit of sending out estimates, invoices, reminders, statements, memos and reports of any kind out of QuickBooks, the record of your communications is easily found. Feature: de-clutter you mail box. And every time you book a sale, receive a payment or even incur an expense you can link those transactions back to your customer. And the information is in there organized by date, by amount, by customer or almost any other way you can think of searching QuickBooks. You can easily check Open Balance Reports and the Customer Snapshot, which summarizes all activity for you instantly. MINIMIZE FILING! Vendor management is critical to optimize services, control cash flow and stay current with accounts payable. You need to know exactly where you are with your key suppliers, professional service providers and critical vendors that are basically your business partners. Don’t get sideways with your landlord, utility providers, internet hosting services, inventory suppliers, or anyone to whom your business is dependent. You need to keep their accounts current or at least stay in touch so that these relationships don’t go south on you. QuickBooks provides you with all the same information management tools you get in the Customer Management module, but now you are tracking BILLS received from vendors instead of invoices sent to customers. In other words, all you could ever need to stay on top of these relationships, in an organized, paperless and instantly available manner. All you need is the discipline to follow through with the provided structure. Back to the warning: garbage in=garbage out. BUT you won’t get anything out of it if you don’t put anything in. If you are not an accountant, you may need QuickBooks training and support to set up the chart of accounts for your particular business, or at least review what you set up by yourself. But it is critical to get this very basic structure set up well in the beginning. These are the buckets into which all your transactions need be sorted. You don’t need to have inventory to use the item list. Items are traffic directors in invoices you send to a customer or in bills you get from a vendor. Or you can use them when writing a check. An item structures a transaction that will likely be repeated in the course of doing business over and over so that you get consistent results. Items handle the behind-the-scenes accounting because when you create a new item you link it to the one correct account in your Chart of Accounts to be used over and over again. 1) Service 2) Non-inventory Part 3) Other Charge 4) Discount 5) Payment 6) Group and 7) Subtotal. If you keep and track inventory, then the INVENTORY Part item type is available when you let QuickBooks know you want to track inventory. Note: Subtotal is the simplest. It doesn’t “Do” anything other than give you a subtotal of the amounts in a running list of line items. Each of these types behaves in a unique manner. When you choose the item TYPE you need, the form changes to make sure the correct information is tracked for each item type. Think of each item type as a specific function. QuickBooks will process each transaction as directed by each function type. You can dictate rates or prices for services, or leave them blank to be filled in when invoicing a customer or posting a vendor’s bill to accounts payable. You can predetermine the description for each item or leave them blank and type them in uniquely for each transaction. Once you realize you are typing in the same darn info over and over you can go in and put that in the description. Then when you include the item in your invoice, bill or check those words will show up. But they can always be overwritten of unique situations so there is not a big risk here. The same with the rate or price you set. But the accounting for the revenue or the expense that was set up for each item will always be posted to the account chosen when the item was set up. So an item makes you think about what you are doing when you set it up, but then every time it is used it will process the transaction in a predictable and accurate manner. These are just a few of the ways that QuickBooks can give you the structure you need to be organized and consistent in the management of your business. Even if you outsource your payroll, you can use the Employee List to track info about your employees the way you track info about your customers. And small businesses usually have some equipment or furniture that needs annual depreciation. So QuickBooks has a Fixed Asset List for you to track purchases and accumulated depreciation. QuickBooks has built in Reminders and Alerts that will help you manage processes. And even a Planning and Budgets feature. 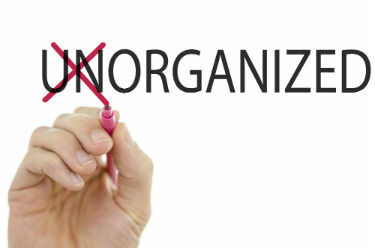 QuickBooks can keep you organized as you grow and your business gets more and more complex. Once you know what you are doing in QuickBooks and you get positive feedback from your accountant that things are going well, you can maintain the integrity of your bookkeeping. That accounting integrity is crucial so that you can rely on the results you get from your QuickBooks financial reports. You will be able to make improvements based on the reports you get. You will know what your profitability is and where you might try to minimize unnecessary expenses. But if your system is not dialed in and you and/or your staff are not doing it right consistently day by day, you may need some help.